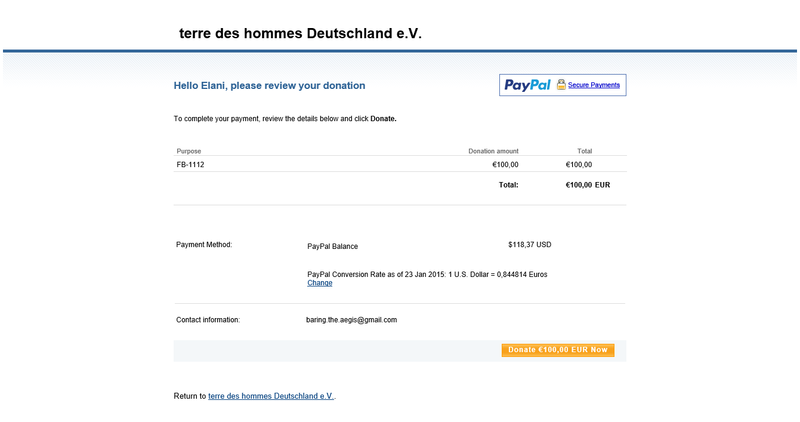 Elaion is proud to announce that this month's Pandora's Kharis donation run has raised $118,- for our democratically decided upon cause Terre des Hommes. I am once more very happy to say you have all given generously, and in the spirit of the Gods! The Terre des Hommes International Federation is a network of ten national organisations working for the rights of children and to promote equitable development without racial, religious, political, cultural or gender-based discrimination. This month we donated to their special campaign to end female slave labour in the textile industry. It costs 60 euros to send a former textile worker to school, which means two girls have just been saved.